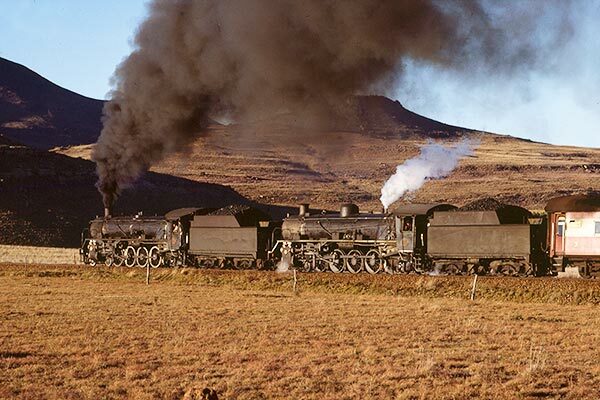 Caption - A pair of South African Railways (SAR) class 19D 4-8-2's with the daily Maclear to Sterkstroom passenger in May 1982. The train is nearing the end of its journey as the sun sets after another day watching trains on this scenic, long branch in the Eastern Cape. The train is normally worked by a single 19D and the second loco is making its way back to Queenstown shed for a boiler washout.